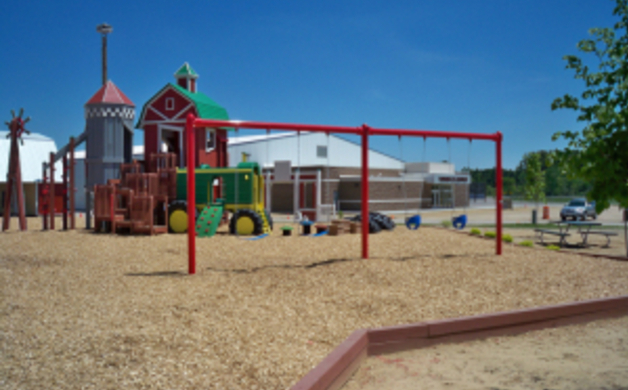 As we travel around the state, one thing we've noticed is the abundance of outdoor playgrounds. From rest stops to state parks, our favorite finds have been the wooden "dream theme" playgrounds. Typically built by community volunteers with money collected from businesses, individuals, and service-based organizations, each playground is built with love for kids of all ages and abilities. 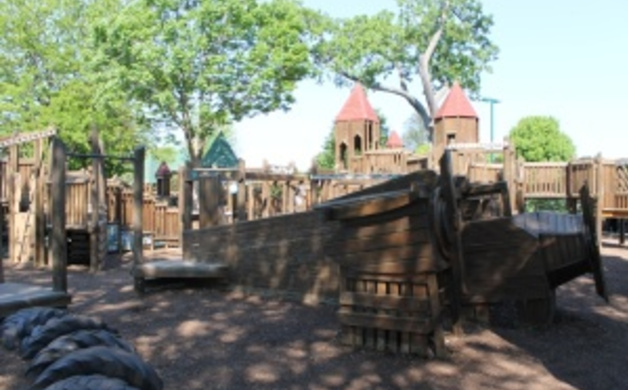 A fantastic addition to a day at the beach, the Kids Cove playground has a nautical theme complete with pirate ship, giant fish, and lots of opportunities to walk the plank. The playground is just down the street from the Racine Zoo (free admissions on a Monday). Despite the wintery photo, the Kids Coulee is a popular gathering spot for La Crosse families. With a pretend river flowing through the structure, kids can climb in a wooden house boat or purchase a few worms at the pretend bait shop. 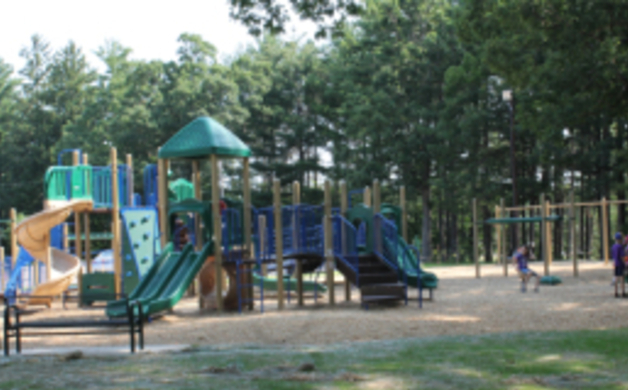 The playground is within walking distance of the Myrick Park Zoo, Three Rivers outdoor theater, and the new state-of-the-art EcoPark educational/environmental center. 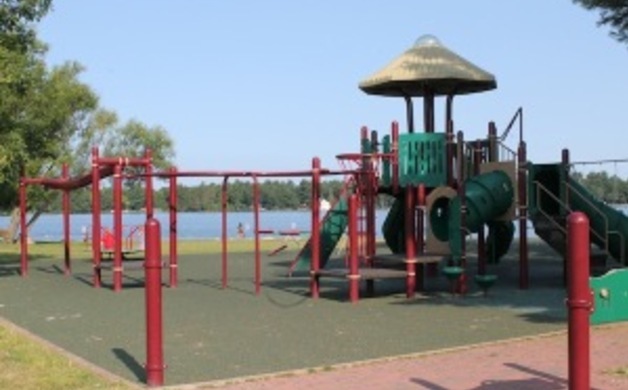 Allowing children of all ages and abilities to play together, the Possibility Playground at Upper Lake Park offers latex-free surfaces, ramps, and a soft (squishy) landing surface. 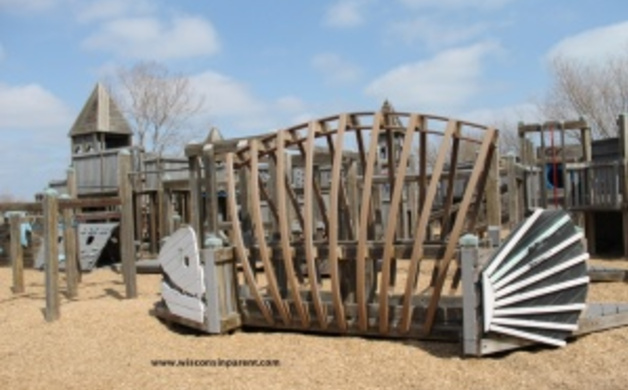 Nautical themed, the park has brightly colored play structures, sand pits, and even a cool bridge that swings from side-to-side. Also a perfect vantage point for a breathtaking picnic above the Lake Michigan Shoreline, park patrons can brave several flights of wooden stairs down to the beach. A short walk from the shores of Lake Winnebego, the wooden play structure at Menominee Park features airplanes in an EAA theme. Near the swimming beach, eight-acre zoo, summer visitors should also leave time to visit the Children's Amusement Area (complete with train, merry-go-round, and paddle boats). 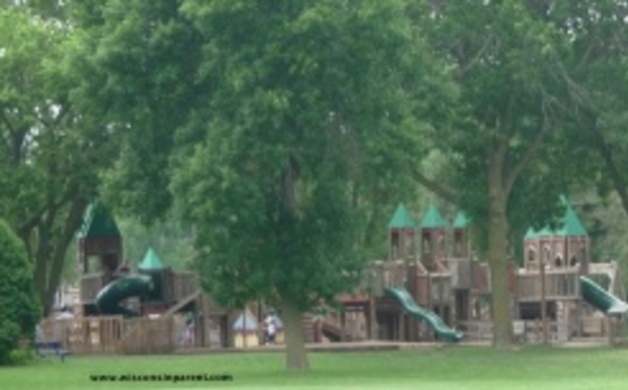 One of five dream park playgrounds in greater Dane County (the others are in Cottage Grove, Sun Prairie, Fitchburg, and Deerfield), the Monona Youth Dream Park resembles a large castle with a painted moat at the entrance and a dragon sculpture protecting the fortress inside. Winnequa Park is also home to a skate park, swimming pool, fishing pond, and tennis courts. Welcoming visitors to Palmer Park in Janseville, Camden Playground holds it's own in the dream park realm. Located a stone's throw from the Palmer Park Wading Pool, the wooded park offers lots of shade and picnic spots for groups of all sizes. Visitors may also want to pack tennis rackets or wander over to the more traditional playground. A small concession stand is also available during pool hours. On the small side, but big in spirit for a relatively small town, the playground at East Dock Park offers tourists and residents a lovely playground right on the waterfront. 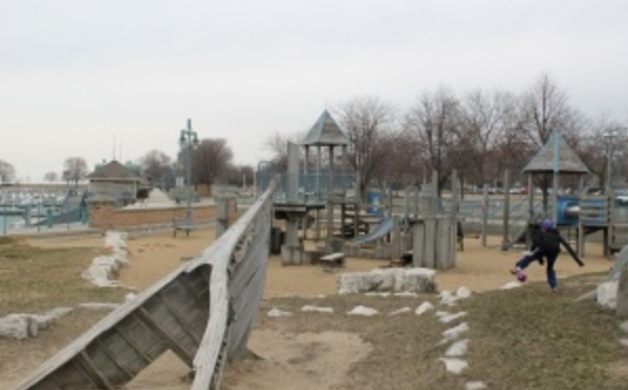 Featuring a sea serpent made of used tires and a pleasant-sounding chime, the playground is enclosed with a wooden fence and has a few shady spots for a picnic lunch. Celebrating it's five year anniversary in 2014, Imagination Station in Oconomowoc now has a fully-accessible restroom facility. 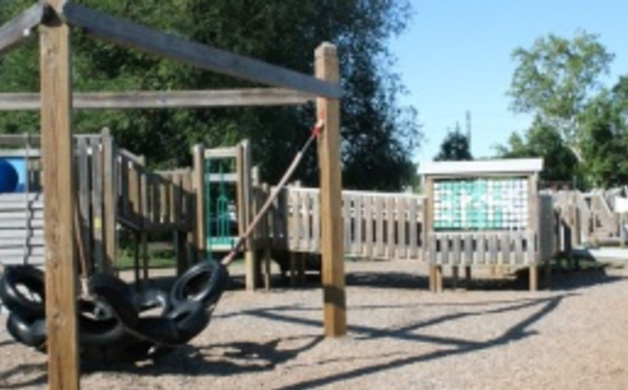 Playground features include therapeutic swings, a swinging deck, music and educational components and multi-sensory activity structures. 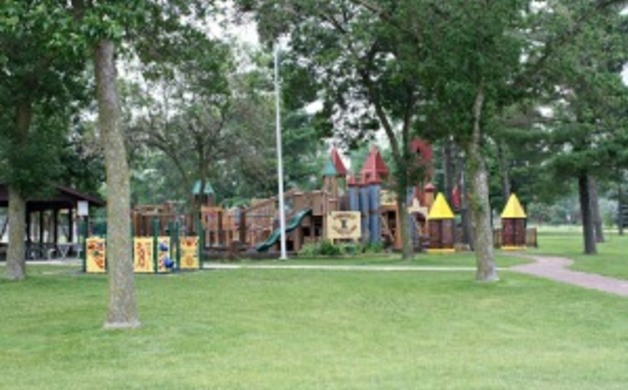 The park is located within Roosevelt Park in Oconomowoc. Now open in Tomah, Burnstad's Adventure Park contains over 15 pieces of playground equipment related to the specific milestones within the Burnstad Family history. The park has a farm-theme and is open to the everyone for weddings, social gatherings, family reunions, tractor pull fans, and anyone who just wants to get out and play. The park is located on the South side of Tomah near the original Burnstad's Market (701 E Clifton St.). 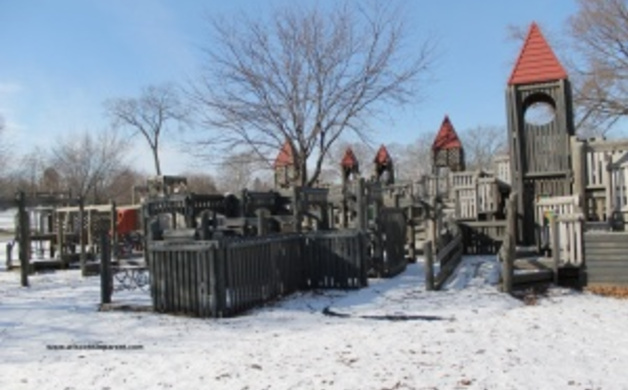 After a fire all but destroyed the Winnebago Wonderland dream playground located in Winnebago Park in 2001, the entire structure has been rebuilt to include a 10,000 square foot wooden playground complete with castles, mazes, slides, tubes, swings and more. Lots of shade nearby. If you make the drive to Iowa as much as we do, this quaint little park in Fennimore is about as good of a "rest stop" as it gets along the Highway 18 corridor. Marsden Park features a picnic pavilion, a variety of playground equipment, a public bathroom facility, and lots of shade. If you visit in the heat of the summer, keep your swim suits and towels handy; the Fennimore Community Swimming Pool is within an easy walk and is $3/person. Fennimore is also home to the Fennimore Historical Railroad Museum. If you are passing through on the weekend, your kids will love a ride on the miniature train. 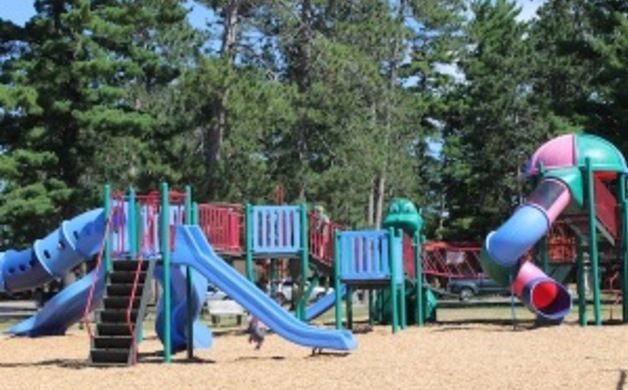 Open since July 3, 2014 the brand-spankin-new playground at South Park in Waupaca is a nice edition to this picturesque park overlooking Shadow Lake. Located near restrooms and within an easy walk of the park's (free) beach playground, our favorite toy was the green grasshopper bouncy seat. Also worth a mention (and a visit) is the playground at Swan Park on the North side of town (no restrooms or shade here, however). 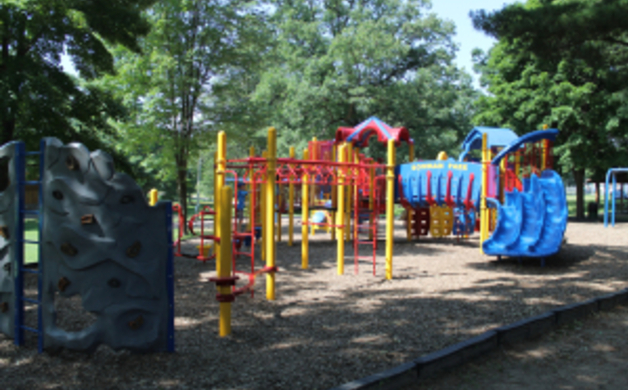 Located on the South side of Lake Martha, Stoddard Park features a smaller playground with old and new equipment for kids of all ages. Adjacent to the community swimming pool, you'll also find public rest rooms, lots of shade, and a field large enough for a pickup game of soccer. And, if you work up an appetite, head on over to the Norske Nook on Main Street for some world-famous lefse and pie. 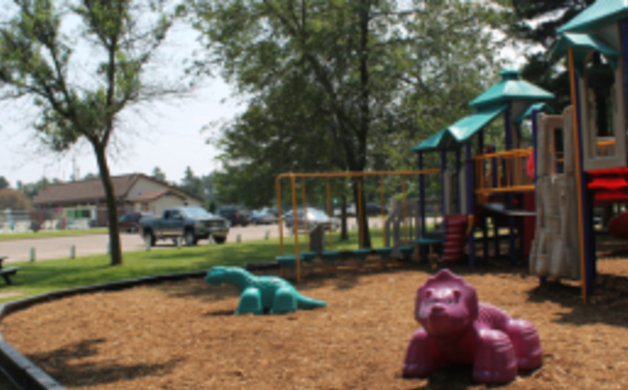 Built through the efforts of the Rhinelander Kiwanas Club and other clubs and area businesses, the Pioneer Playground is located on the Southeast side of town. The home of the Pioneer Park Historical Complex (look for a complete review of this soon), the park features a variety of equipment for kids of all ages. Located nearby are baseball diamonds, a hockey rink (apparently, it's just easier to keep this up all-year round), picnic pavilions, and bathrooms. 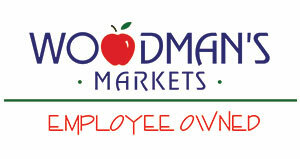 If you visit on a Saturday during the growing season, check out the Hodag Farmer's Market. 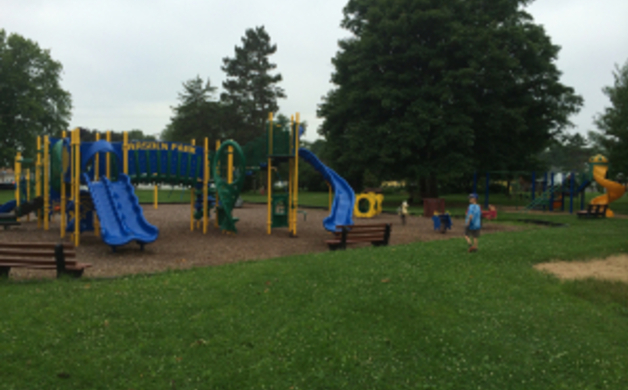 Situated on the shores of Minoqua Lake, the playground at Torpey Park truly has something for kids of all ages and interests. Older kids can enjoy modern equipment mixed with a merry-go-round and teeter totters (remember these?) and up to six toddlers can swing in the adorable blue seats. Adjacent to the playground area are tennis courts and a sandy swimming beach (the water looked pristine). Picnic (and toilet) shelters are located off to the West side of the parking lot. 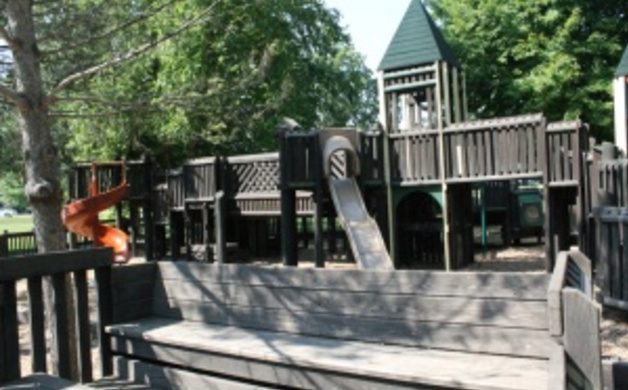 Do you have a favorite playground we need to add to this list? Leave a comment and let us know.